A week-long Yoga Training Programme was conducted by B.Voc (Beauty & Fitness) under the aegis of Physical Education Department of BBK DAV College for Women. Mr. Vishal Mahindru, Sr. Lecturer in Rishi Yog Sansthan Haridwar and Mr. Narpinder Singh International Yoga Referee & Coach gave the college students very valuable tips about fitness, nutrition and mental composure through yoga. The first two days of the programme focused on basic yoga asanas & Surya Namaskar for muscle strength, speed and agility. The experts gave demonstrations with explanations. The 3rd & 4th days started with Bandha, Mudras and Asanas. The sessions concluded with very rewarding lectures on healthy diet for girls followed by motivational lectures. The 5th & 6th days started with Shudhi, Neti and Pranayam for purification of the internal systems and all the students & players practised jal neti under the supervision of the trainer. The morning session of the last day started with the introduction of meditation followed by a lecture and a video of meditation in the afternoon, a practice session of meditation in the evening. 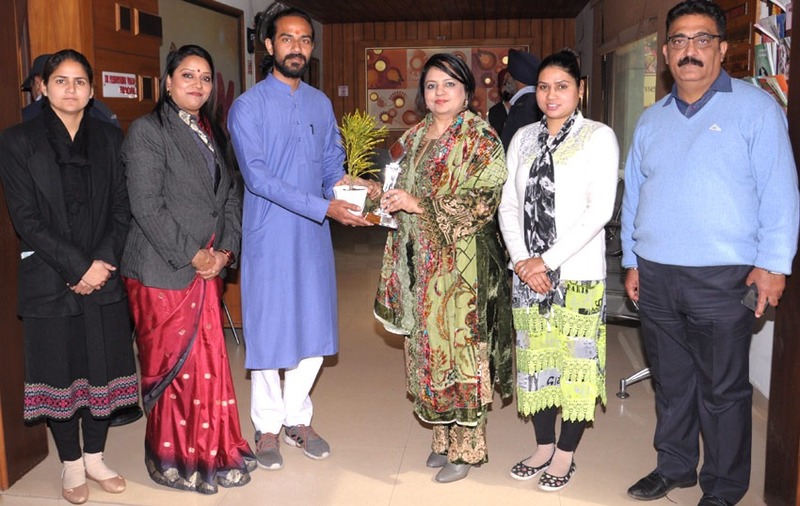 Principal Dr. Pushpinder Walia welcomed the resource persons with bouquets and mementos. Present on the occasion were HOD Sports Department, Mrs. Sweety Bala, teachers Ms. Savita Kumari and Ms. Gaganpreet Kaur. The trainers thanked the Principal for providing them the necessary infrastructure and opportunity to conduct the yoga training programme.